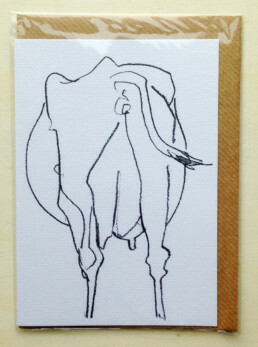 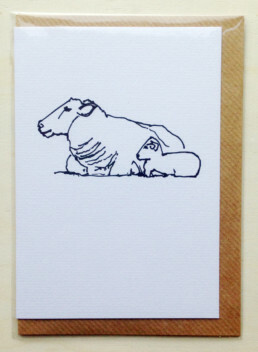 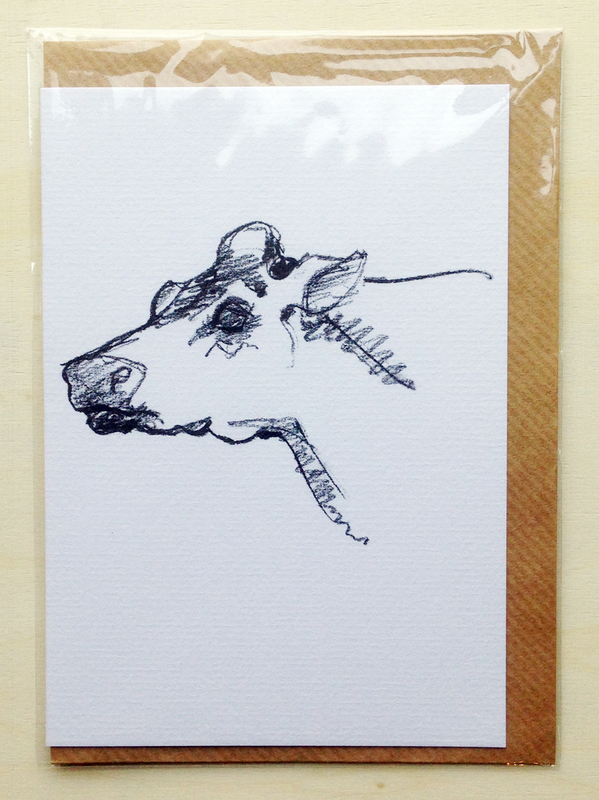 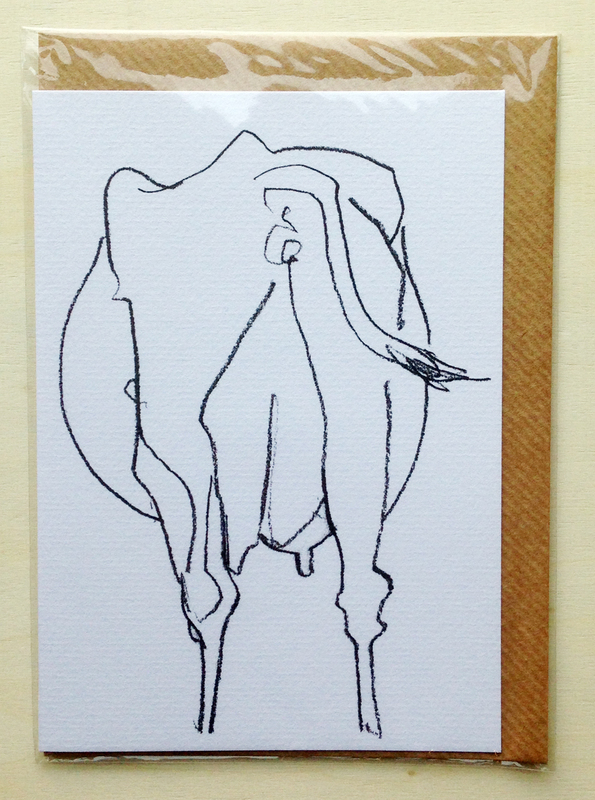 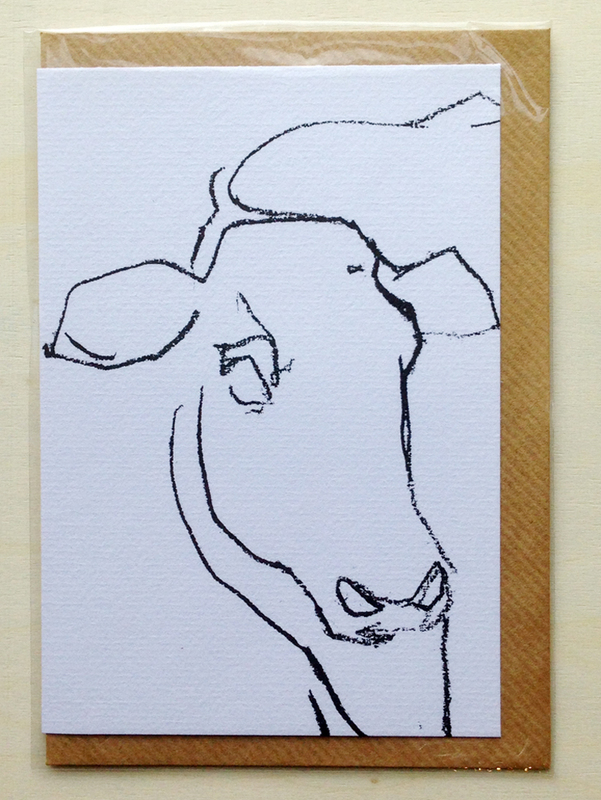 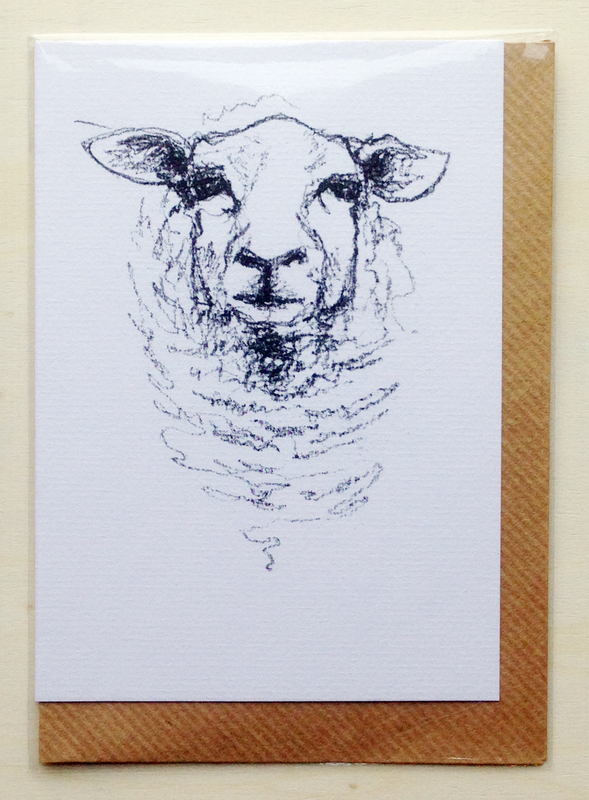 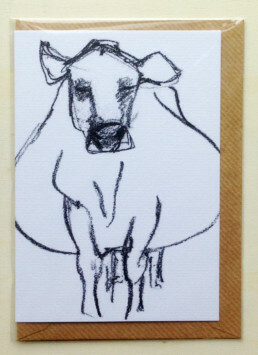 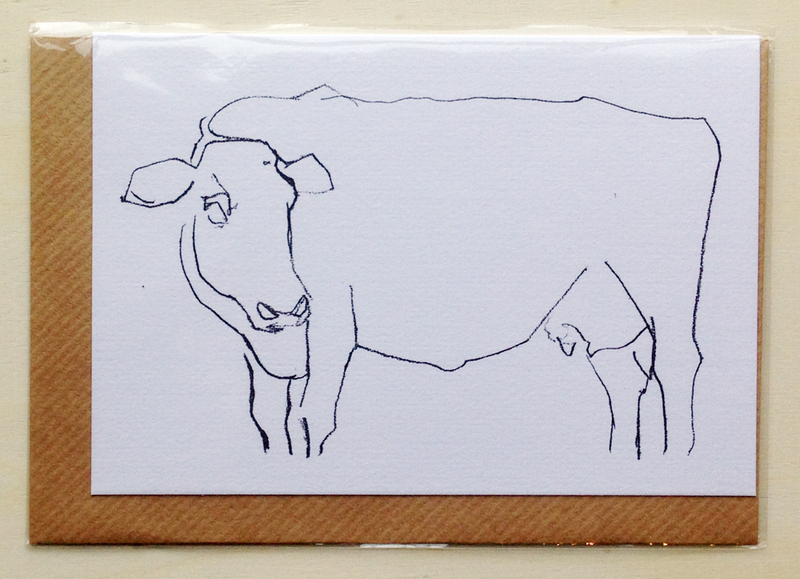 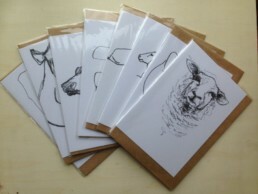 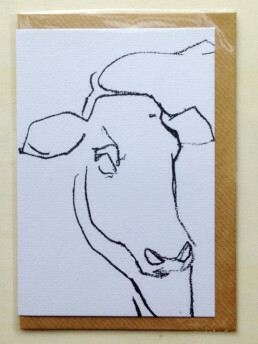 Individually wrapped A6 greeting card of an original drawing from the Cow&Sheep series. 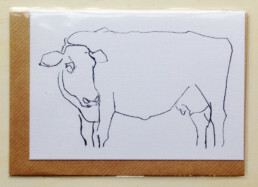 Blank inside for your own message, wrapped in a cellophane sleeve along with rustic brown envelope. 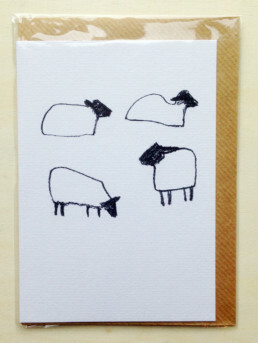 There are 8 designs in the range. 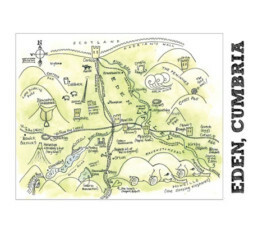 You can buy this card individually, in packs of 8 or as a mixed pack including all 8 designs.